Discover how to create a web application to control servo motors using a Raspberry Pi and the Flask web framework. 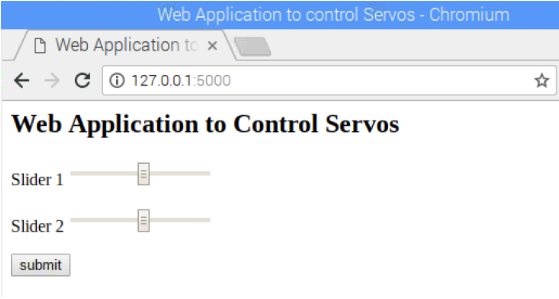 In this post, you are going to learn about how to create a web application on Raspberry Pi to control servo motors using the Flask Web Framework to create the web application. We will create two sliders on the web app that will send a corresponding value, causing the servo motors to move upon pressing the button. Flask is a web application framework written in Python and developed by Armin Ronacher, who leads an international group of Python enthusiasts named Pocco. Flask is based on Werkzeug WSGI toolkit and Jinja2 template engine. Both are Pocco projects. Let’s breakdown the code used in this project. The full code can be found at the end of the article. First, we imported the flask modules required for this project. The render_template_string module allows us to use HTML in our projects. The request module allows us to get data from HTML. 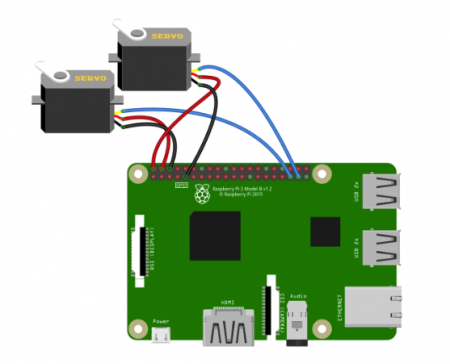 The RPi.GPIO library allows us to control the GPIO pins of the Raspberry Pi. Now, we enable the debug mode in our project. The advantage of enabling the debug mode is it automatically reloads the server upon changing the code. It also provides a useful debugger to track errors in the application. Create a Python file and upload the code. 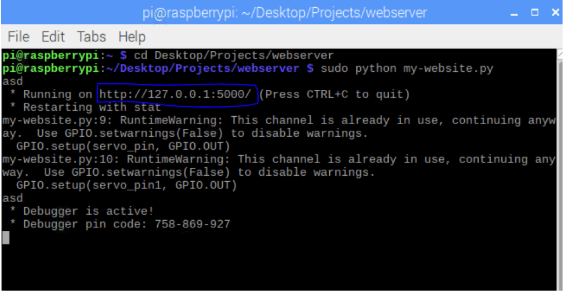 Next, run this file with sudo command to start the server at localhost on port 5000. Open up the browser and type in https://127.0.0.1:5000, which opens up a web page as shown below. Now, pressing the submit button will send the values of the sliders according to which servo motors we are controlling. # Flask constructor takes the name of current module (__name__) as argument. # which URL should call the associated function.